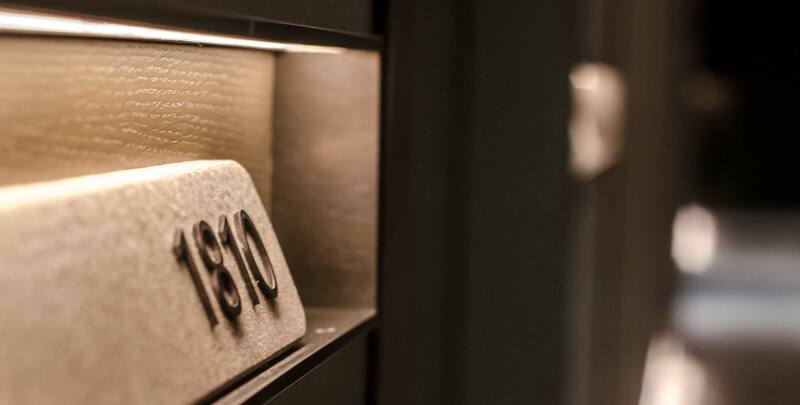 Every Chao guestroom is a unique address, and arrival is all about discovering the details that make each its own space. Our rooms are informed by casual luxury, designed with style, understated elegance and environmental stewardship in mind. 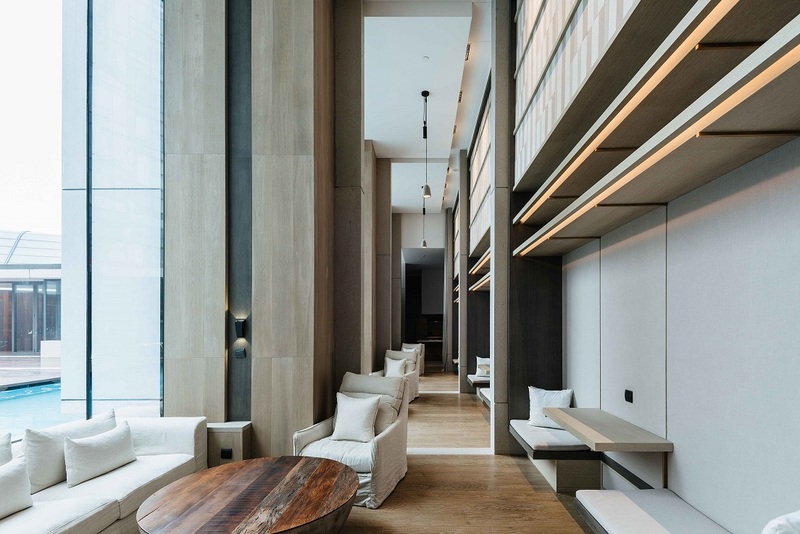 We have embraced a new standard: provide a relaxed and generous space with ample daylight accented with authentic, responsibly sourced materials. All guest rooms feature handcrafted CHAO furniture made from solid walnut and hand-shaped leather. We make every step of the hotel experience easy and simple, focusing on comfort and belonging, from check in to turn down, we have taken care of everything you need to feel at home during your stay. Guests enjoy free WIFI, snacks, VOD, Nespresso coffee, artisanal teas, phone calls and every room is fitted with an exclusive home bar with all the accessories needed to reproduce your favorite cocktail right in your room. Our Twin Studio is 40m2 with a pair of double beds fitted with 600-thread count linen, the free mini-bar is designed to make you feel right at home, with Nespresso coffee and artisanal teas in addition to a selection of local snacks. Also included in the rooms are free LeTV VOD service, as well as top-of-the-line HIFI stereo multimedia system. 50m2 of studio space, with a king bed fitted with 600-thread count linen as well as a walk-in closet. 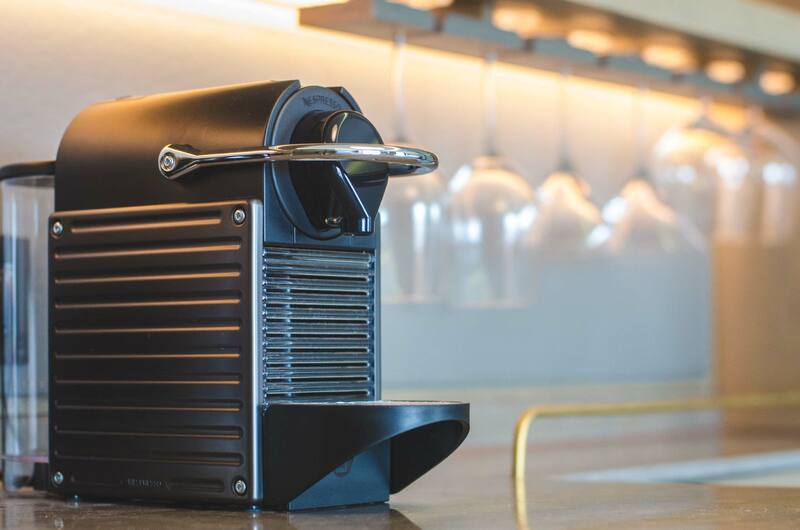 The free mini-bar is designed to make you feel right at home, with Nespresso coffee and artisanal teas in addition to a selection of local snacks. Also included in the rooms are free LeTV VOD service, as well as top-of-the-line Hi-Fi stereo multimedia system. Our signature room is a 60m2 studio with a king bed fitted with 600-thread count linen. The large space features handcrafted custom furniture, responsibly sourced materials and all organic amenities echo a new type of luxury. 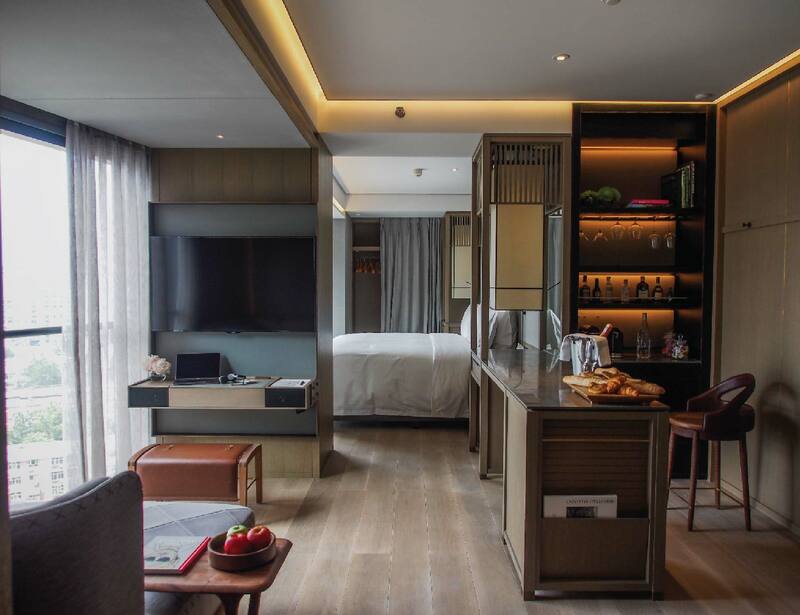 We want the experience here to feel like staying at your friend’s home, so make yourself a bubble bath, enjoy the free mini-bar, and the LeTV VOD service with top-of-the-line HIFI stereo multimedia system. 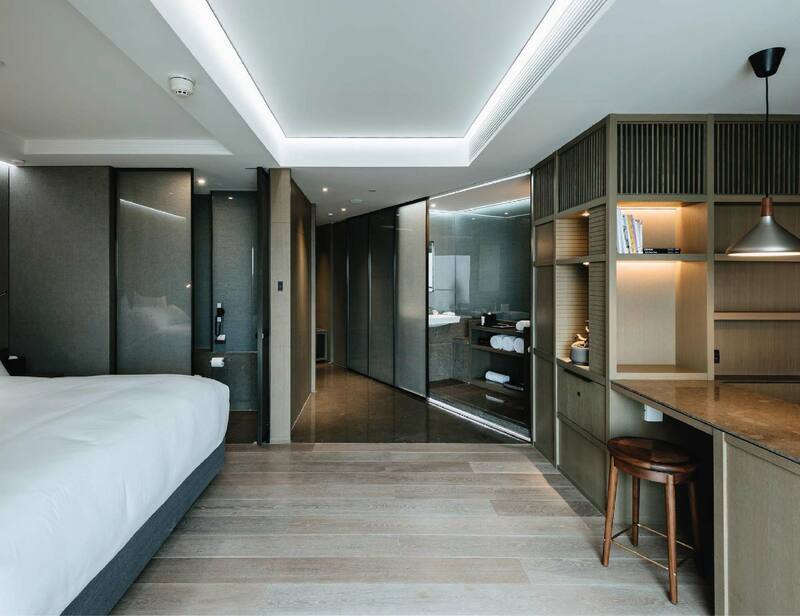 Our baby suite has hardwood floors room, a bar and living room area and a separate bedroom fitted with a king bed with 600-thread count linen. 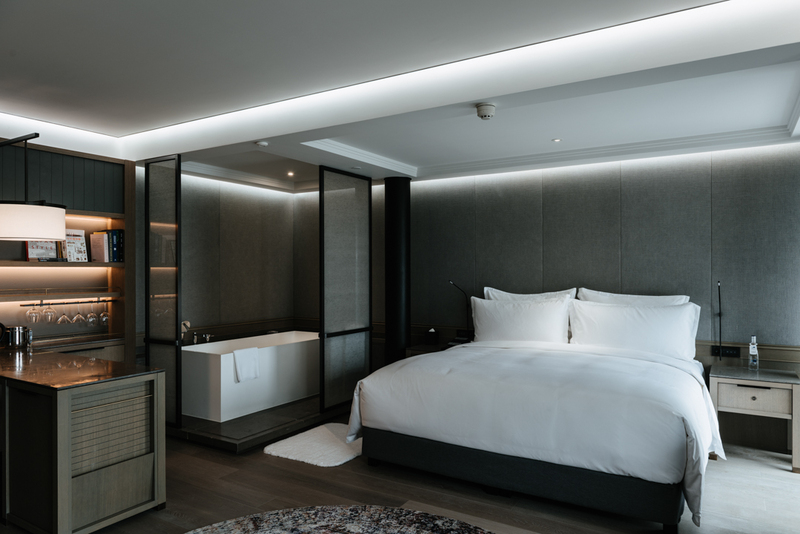 Relax with a bubble bath while watching the bustling city underneath you through the floor-to-ceiling windows, then help yourself to the artisan teas included in our mini-bar. Finally cap the evening with a movie in our signature sunbed while enjoying our special in-room picnic service. 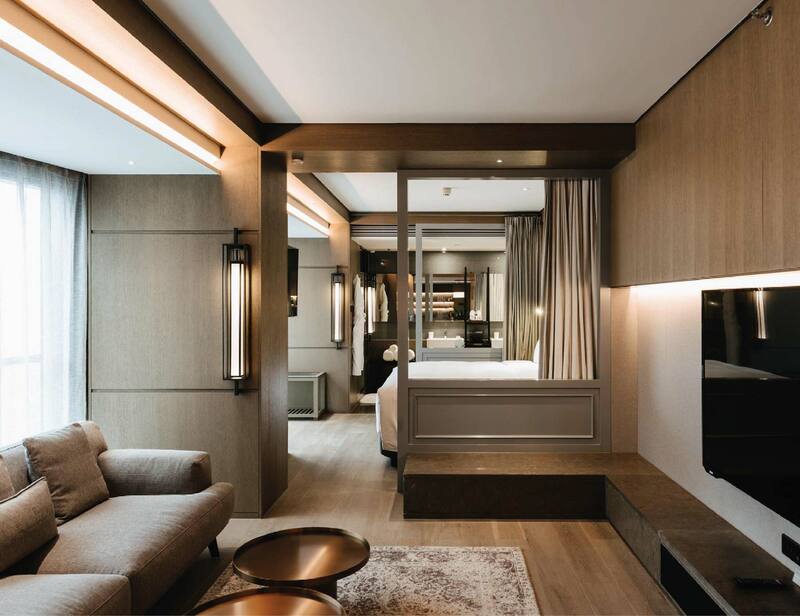 CHAO Suite 80 offers an elegant setting that reminds the spaces of a traditional apartment. 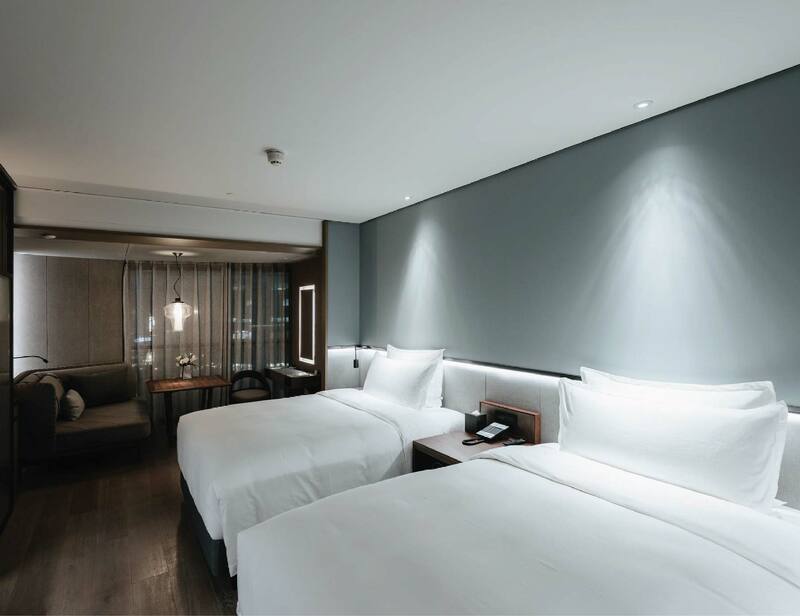 Experience modern and luxury accommodations furnished with custom furnishings and a stunning view on Sanlitun. Contemporary European settings design to evoke emotion. Available for private hire along with the poolside penthouse, this is where special events and dream weddings are made. The space can also be used as supplementary private room during poolside events.